As loving pet parents, we want our animal companions by our side for as many years as possible. At Lainer Animal Hospital, we believe the best way to ensure this happens is by making a commitment to their ongoing wellness. By bringing your pet in for regular checkups, you’ll help protect him or her from many of the common ailments that can affect companion animals. You’ll also give us the opportunity to identify and address potential health problems early, before they have chance to develop and worsen. These simple things can add years to your pet’s life. Our wellness services are comprehensive and extremely thorough, because we want to do everything in our power to keep your companion healthy. At each visit, the doctor will examine your pet from nose to tail, looking for anything out of the ordinary. We will also develop and implement a customized preventative care plan tailored to your pet’s unique needs, lifestyle and risk factors. This will include vaccines, parasite control, nutrition and weight management and anything else we deem relevant to your loved one. 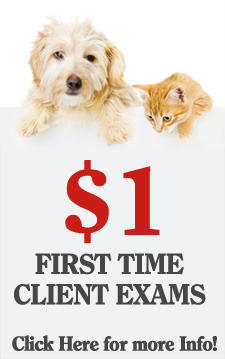 Wellness visits also provide us with regular snapshots of your pet’s health status at each appointment. We can then compare this information against previous exams to identify any changes. This allows us to detect the signs of illness early and develop an effective treatment plan in a timely manner. With many ailments, an early diagnosis can vastly improve the outcome for your animal friend. The more we stay on top of these things, the better chance we’ll have of extending and improving the quality of your companion’s life. Finally, annual visits give all of us at Lainer Animal Hospital the chance to truly get to know you and your pet. Developing a relationship with you and forging a bond with your animal companion is an integral part of the care we provide. This allows us to partner with you in managing your loved one’s health, and also makes visiting the vet a more positive experience. The more we understand your best friend’s needs, the more precisely and effectively we can develop a health care plan. You want to enjoy many wonderful years with your animal family member. We’d love to help you achieve that goal. Call us today and let’s get started!